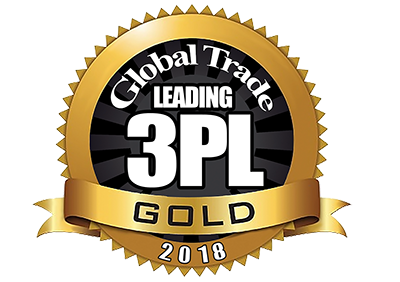 HICKORY, NC (October 9, 2018) – Transportation Insight, a multi-modal Enterprise Logistics Provider and end-to-end supply chain strategist, has been named one of America’s Leading 3PL Providers by Global Trade for the sixth consecutive year. The company is recognized by Global Trade for its ability to serve e-commerce and omni-channel shippers. Transportation Insight increasingly is helping manufacturers, retailers and e-tailers excel in the e-commerce and omni-channel space by leveraging technology, digital tools and data-driven insights from Less-than-Truckload (LTL) and small package shipping experts to accelerate performance around e-commerce visibility, variability and velocity. Transportation Insight applies a consultative Co-managed Logistics® approach to help companies grow their business and mitigate risks while reducing supply chain related costs. As the rapidly expanding e-commerce sector drives increased global trade compliance enforcement efforts for international shippers, Transportation Insight acts as a trusted adviser helping clients address financial risks emerging during complex market conditions. Anchored by vast executive-level supply chain experience and deep domain expertise, the Enterprise Logistics Provider offers clients a unique approach to supply chain optimization, business process improvement, parcel shipment analysis and interactive business intelligence. Like many clients it assists, Transportation Insight is among America’s fastest growing privately held companies identified in the Inc. 5000, a recognition the business strategist has achieved for 11 straight years. The company is a 2016 U.S. Environmental Protection Agency SmartWay® Excellence Awardee for its ability to help clients reduce vehicle miles, energy consumption and air pollution emissions as a byproduct of optimizing transportation networks and supply chains. For the past six years, Global Trade magazine has selected 3PLs for the America’s Leading 3PL Award. Its editorial team selects service providers based on their offerings, specialties, innovativeness and dedication to customers, compiling the results into needs-based categories focused on their centers of expertise. Previously, Transportation Insight has been recognized as a Leading American 3PL for Versatility, Best Technology and Best Range of Services.